It is not accurate to say any one marketing channel is dead and no longer worthwhile. It is important to reach your customers with a combination of both direct and indirect channels. This way, they can choose to interact and purchase your product or service in the channel best suited to them. A Nielsen survey found that the average American spends 60 hours a week consuming content from digital devices. Eighty-four percent of people between the ages of 18 and 24 are actively using their tablet or smartphone while they watch TV. More people are watching their TV via On Demand or DVRs, making it tougher for advertisers to reach consumers through traditional routes. These connected consumers can be more demanding and spend more time on social media sites sharing their experience with friends, acquaintances, and companies. Letting the consumer call the shots and manage the relationship has been a tough adjustment for many marketers. 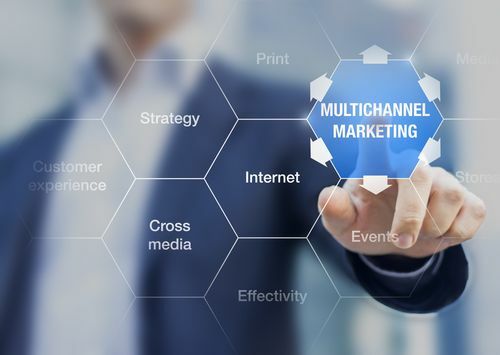 The most powerful multichannel marketing trend involves providing your best customers the tools and methods they need to become your salespeople. Advocacy marketing has been around for well over 100 years. The basic foundation of providing a great customer experience remains, but you must also leverage insights gained from analyzing their behavior to anticipate the customer’s needs and make meaningful offers at just the right time. Empowering the consumer and providing them with more options requires that multichannel marketing engage with consumers and recognize which ones are the most passionate and likely to be the best advocates. Modern multichannel marketing requires that you not abandon any of the core principles of marketing, but use the latest available database technology and behavioral analytics to understand your customers and motivate them to respond in a way that benefits your bottom line. Check out these examples of enterprise marketing programs designed to engage your customers and drive brand loyalty.